Dr. Trotter is skilled in providing Santa Monica, CA, patients with advanced periodontics treatments for healthy gums, including deep cleaning procedures to ward off periodontal disease and help men and women avoid tooth loss. Also called periodontal disease, gum disease occurs when bacteria collect along the gum line, releasing toxins that cause the gum tissue to pull away from the tooth. In many cases, bacteria are accompanied by a protective layer of hard tartar that can't be removed with brushing and flossing. As the gum tissue moves away from the tooth surface, more of the tooth is exposed to bacteria. Eventually, the bacteria reach the tooth roots, forming pockets around the roots that weaken the tooth structure and cause tooth loss. In the U.S., periodontal disease is the leading cause of adult tooth loss. What symptoms does gum disease cause? In the earliest stages of gum disease, called gingivitis, there may be few symptoms. As the disease progresses, gums may become red and tender, bleeding when brushed. A growing population of bacteria can result in chronic bad breath. Eventually, teeth may feel weak or even fall out. Having regular dental checkups is the best way to catch gum disease in those early stages when it's easiest to treat successfully. 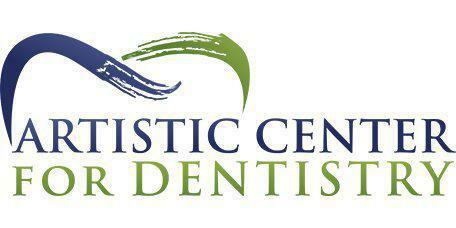 How can Dr. Trotter treat gum disease? Aside from regular dental visits to look for signs of disease, Dr. Trotter performs regular dental cleanings to help prevent a buildup of plaque and tartar that can shelter harmful bacteria. For patients who have more advanced forms of periodontal disease, Dr. Trotter uses advanced deep-cleaning techniques called root scaling and planing to reach beneath the gum line where bacteria hides. Root scaling and planing use special instruments to carefully clean around roots so teeth and gums stay strong and healthy. Plus, Dr. Trotter helps patients understand the important things they can do at home to prevent gum disease, like using proper brushing and flossing techniques to prevent plaque from forming at the gum line and between teeth.